Apply for Membership at The SWAP Lofts Below….We look forward to welcoming you to the SWAP Community! Stay in a home that is surrounded by restaurants and is a quick 5 minute walk to Zilker Park, Barton Springs Pool, the Green Belt, and much more! Downtown SWAP Loft – 2 Story, 4,000 Square Feet located in the center of the city walking distance to the best of Downtown Austin! 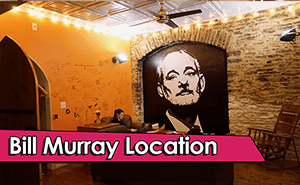 Downtown Location : The Bill Murray SWAP Loft is a 2 Story, 4,000 Square Foot Historic Building located in the center of downtown, a 45 second walk to The Convention Center & 45 Second walk to 6th Street. There is also a Movie Room with 120″ Projected Screen, Bose Surround Sound with Netflix, Hulu, HBO, All Sports Channels etc. There is a ton of CoWorking Space and room to socialize with an entire floor dedicated to sleep so the sleeping area remains quiet after 10pm! Barton Springs Location : The Barton Springs SWAP Loft is big stone house located on Barton Springs Road with a big patio that overlooks Restaurant Row(Chuy’s, Shady Grove, Baby Acapulco’s, Numerous Food Trucks) and is a short walk from Barton Springs Pool, Zilker Park, and South Lamar! even if you are staying at The Barton Springs SWAP Loft. Fill out the form Below to Apply on our Site or you can text Sean to get an even quicker reply – 512-521-6184……either way, we look forward to hosting you soon! 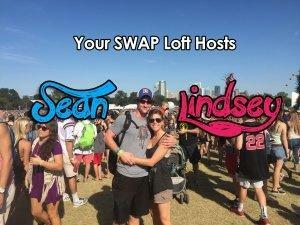 Apply for membership at The SWAP Lofts! We will reply within 24 hours to let you know if we have availability. If so, we will send you an invoice that can be paid via credit card to secure your booking with us. Thanks so much, we look forward to meeting you soon! 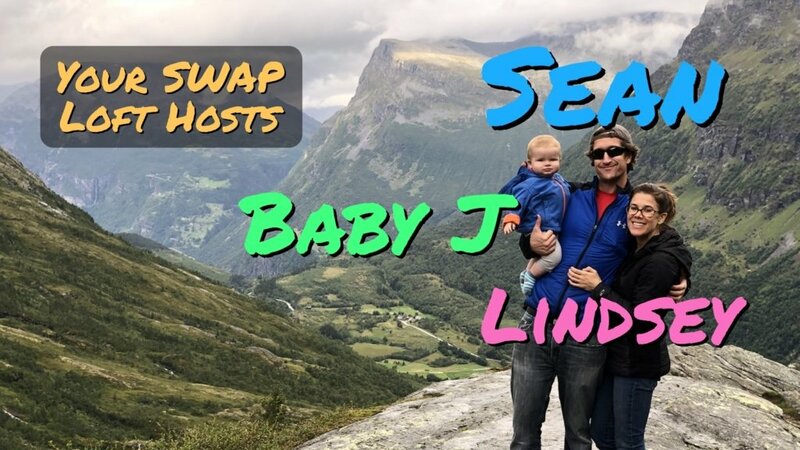 Sean, Lindsey, & now……Baby J!